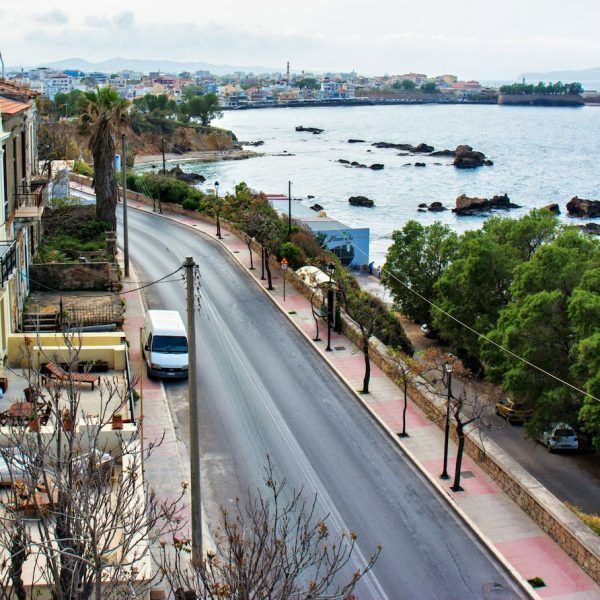 In the quaint area of Halepa which a joins the picturesque town of Chania stands the Cleopatra Residence, an aristocratic house dating from the 1900s, still owned by the original and well known family of Dr. Alexandrou George Tsepetakis. 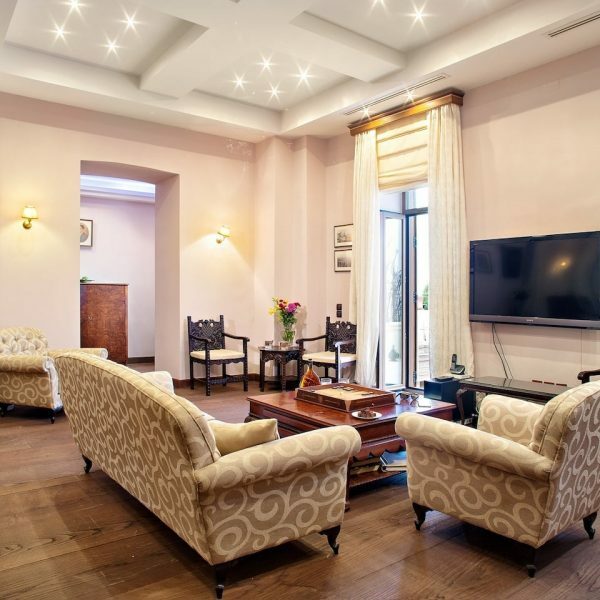 This aristocratic house has a perfect location on Eleftheriou Venizelou street, right on the water front, amidst the sights, sounds and air of a past era. Recently renovated to the highest standards, the Cleopartra aristocratic Residence offers the most demanding guest a level comfort which is a hard to resist. 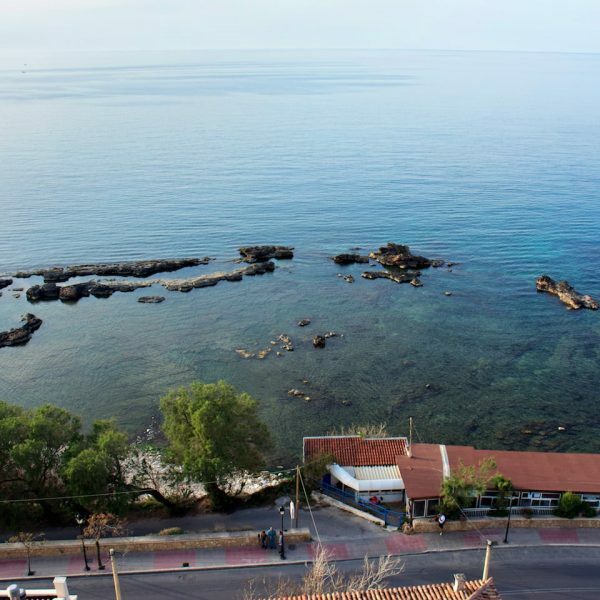 The central location of Halepa is not only an ideal base for the traveler to explore the immediate area, but it is also perfect for easily visiting other scenic areas and taking advantage of the beautiful beaches and crystal clear sea. Just a 10 minute stroll along the esplanade is the graphic Old Port area of Chania where a visitor can find a wide variety of restaurants, chic bars, boutiques and revel in a town which wears the mantle of Cretan tradition and yet, offers an array of modern conveniences which keeps visitors returning year after year. 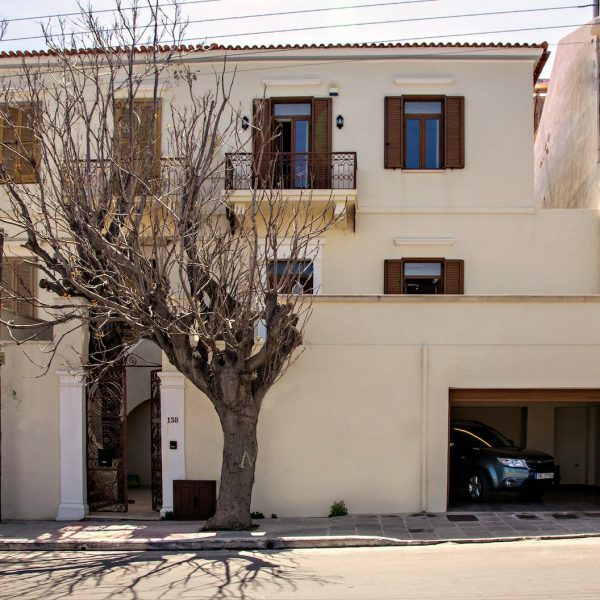 This aristocratic residence in Chania maintains the traditional method of construction in the area, with two large floors and a main ground floor. On the ground floor there is a private garage which links directly to the main house. In addition, there is a Play room and a Master bedroom which has en-suite facilities. The room has the potential to sleep other guests as there is a comfy sofa bed available. Similarly, discreetly located on this floor is an independent room with private facilities that can be used by hired staff. Finally, the ground floor of the aristocratic residence has ample and accessible storage space . On the first floor there is a large dining room that comfortably seats up to 12 people as well as a spacious living room. The well maintained furniture with beautifully finished wooden surfaces gives a luxurious but welcoming atmosphere to the rooms. In fact, the furnishings throughout the whole house are a subtle blend of colour, taste and opulence which wins over the visitor from the first moment. Situated next to these areas is the well-equipped, modern kitchen which is bound to please the most discerning guest as will the two bathrooms on this level, one of which is a WC with enclosed shower. 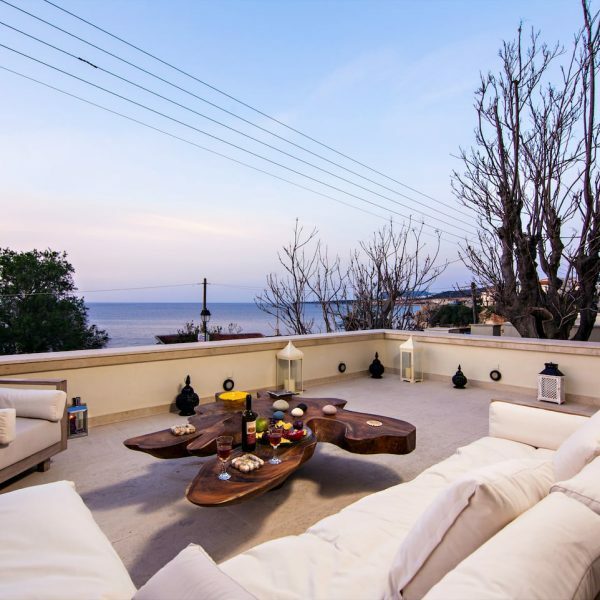 Another highlight of this aristocratic residence in Chania is the outside patio which is equipped with a BBQ and outdoor garden furniture that seats up to 10 people. What could be more perfect than eating al fresco underneath a perfect Cretan evening sky, with family or friends? 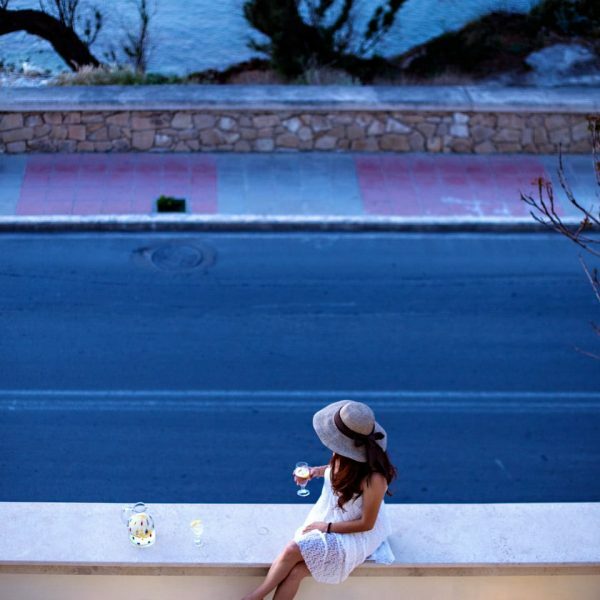 Perhaps, a pre-dinner cocktail on the veranda overlooking the Cretan peninsula while soaking in the warmth of the balmy Cretan nights. The second floor has three spacious and well appointed rooms, each with en-suite facilities. The Master bedroom with a superb sea view has classic furniture, again with beautifully finished wooden surfaces. The luxurious bathroom is fitted with hydro massage and is highly recommended after a wonderful day out sightseeing. Similarly, the second bedroom bathed in sunlight, is tastefully designed and furnished. The en-suite facilities are equipped with a sauna and hamam, especially for those who know how to pamper themselves. The Cleopatra Residence in Chania is perfect for families as the third bedroom has bunk beds, lots of space and private facilities making it truly a home away from home. The Cleopatra Residence is air conditioned throughout. The temperature, either heat or cold can be controlled in each and all rooms.